This is the third and final contribution on the life, abduction, disappearance and subsequent death of Dr Edson Sithole - a veteran nationalist, barrister and national hero whose heroic life remains shrouded in mystery, 43 years after his death. This week we look at the intricate events leading up to his death within the context of the contradictions and disunity within Zimbabwe's liberation movements around 1974-75, what has often been referred to as the "ANC unity in disunity". We will also look at his death and the various theories that have been advanced to explain it. The statement, which was signed on December 7, 1974, and came to be known as the "Zimbabwe Declaration of Unity" bore the signatures of ANC President Bishop Abel Muzorewa, Zanu President Ndabaningi Sithole, Zapu President Joshua Nkomo and FROLIZI President James Chikerema. These parties agreed to unite in the ANC under immense pressure from the Frontline States and the OAU. Yet, it must be stated at this stage that the said declaration of unity brought together sheep, foxes, hyenas and leopards. The misguided and obvious assumption was that the four would realise they had many things in common: they were all animals and their common enemy in the bush was the lion. Yet we know all too well that the interests of leopards, hyenas, foxes and sheep do not necessarily coincide, despite their common fear of the lion. The artificial unity "achieved" in Lusaka in December, 1974, was a unity of contradictions. It was not a naturally occurring unity and as such, it could be maintained only by external and artificial means. This was vividly evident immediately after the Declaration of Unity. Back in Zimbabwe after their release, Zanu and Zapu leaders and supporters worked at cross purposes in pursuit of their organisational goals. 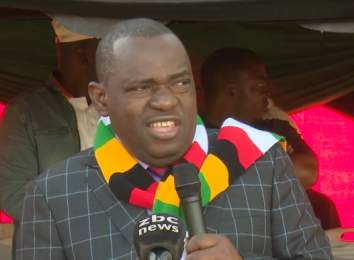 Zanu leaders and supporters advocated for continued armed struggle and its President Ndabaningi Sithole refused to call a ceasefire as demanded by the Smith regime. Following the advice of the Frontline States not to make statements that would harden Smith`s attitude, the Zapu leader, Joshua Nkomo, remained surprisingly quiet on the ceasefire and other issues. However, he and his supporters were quietly consolidating their own ANC organisational structures, particularly at district and provincial levels. Since branch formation and registration went through district and provincial structures, only the local branches dominated by Zapu were duly registered. Dr Gordon Chavunduka, then ANC secretary-general, was quoted by Professor Masipula Sithole in his book 'Zimbabwe struggles-within-the-struggle': "Nkomo has captured the middle leadership of the ANC. We dominate in the top leadership and among the masses. However, while the masses are forming branches, they have to be registered through the district and province before the Party Secretariat finally registers them. 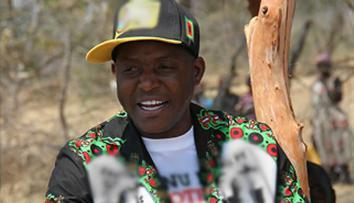 Under the circumstances, Zapu-oriented branches get registered. Moreover, there is a tendency for numerous branches to be formed and registered in Zapu strongholds than elsewhere. We now have a situation where about 60 percent of registered ANC branches are in Matebeleland, which constitutes only one-fourth of the country. 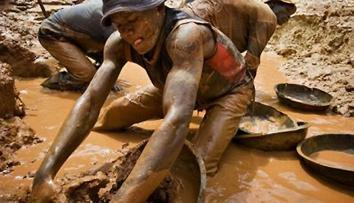 Surely, it can not be assumed Matebeleland is more politicised than the rest of the country." Thus, Nkomo and his supporters favoured a quick ANC Congress because only established and registered branches would be invited. 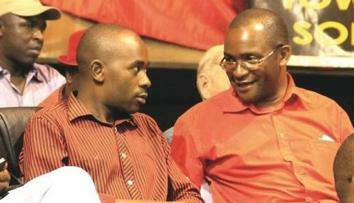 However, Zanu encouraged formation of branches that would seek registration directly with the Secretariat. It is generally believed that the ANC leadership was biased towards Nkomo and Zapu immediately following the release of the Zanu and Zapu nationalists, including Dr Edson Sithole, in December 1974. This was to be expected because after the Pearce Commission, Zanu looked unfriendly at ANC talks with the Smith regime, especially towards the end of 1973 and during 1974. On the other hand, Zapu in exile deliberately maintained a low key or even a friendly attitude towards the ANC. 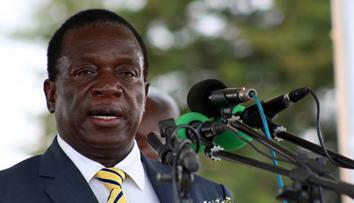 As the former detainees travelled throughout the country, however, it became evident that mass sentiment was pro-Zanu. It was also clear that the masses in the cities and countryside looked to Chimurenga (armed struggle) for salvation and they correctly equated Zanu with Chimurenga. In exile, Zanu, Zapu and Frolizi continued to work separately, although theoretically they were all under the umbrella of the ANC. 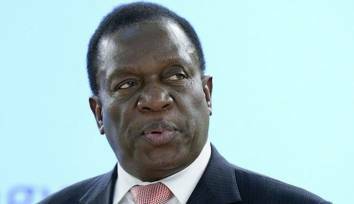 Zanu, in particular, began to criticise the unity accord and seemed to be looking for a way of extricating itself from the said unity. 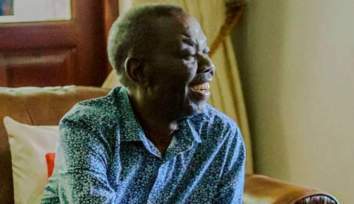 However, the Nhari rebellion, the assassination of Chitepo and the subsequent incarceration of the leaders of Dare re Chimurenga by the Zambian authorities on charges of having killed Chitepo, hampered Zanu`s capacity to wiggle out of the unity accord. Zanu offices at the Liberation Centre in Lusaka were seized and given to the ANC, while the Zanu publicity offices in downtown Lusaka were closed down. All Zanu funds were frozen. Zapu in exile, for one reason or another, favoured unity but kept their Lusaka Headquarters intact as long as Zambian authorities didn't order them closed, and they didn't. The Zapu paper continued production, but now purported to be an ANC paper, while the ANC operated from the Liberation Centre under different personnel. Frolizi was extremely enthusiastic about unity. The Frolizi leadership quickly provided personnel for the ANC at the Centre. This enthusiasm was shared by those in Zanu who had survived reprisals after the Nhari Rebellion. Eventually, Simon Muzenda (Zanu) and John Nkomo (Zapu) were appointed by the ANC Executive in Rhodesia to administer the Lusaka ANC offices. During the period between December 1972 and December 1974, Zanu gained acceptance by the masses of Zimbabwe as the vanguard party in the revolutionary process in Zimbabwe. Then it was revealed during January, February and March 1975 that while the Zimbabwe Declaration of Unity was being signed in Lusaka, Zanu had been experiencing one of its worst rebellions, the "Nhari Rebellion". 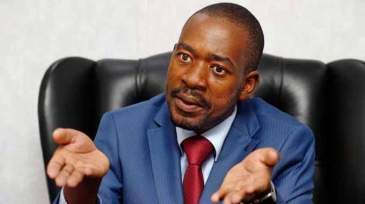 And that the ruthless and at times callous reprisals on the said rebellion had culminated in the death of Herbert Chitepo, the Zanu National Chairman who had built and led the party in exile for a decade. Simultaneously and contemporaneously, in February 1975, Reverend Ndabaningi Sithole was redetained after only three months of freedom on account of the fact that the Smith government believed it had evidence to the effect that he was plotting the assassination of three nationalist leaders, namely Bishop Abel Muzorewa, Joshua Nkomo and Dr Elliot Gabellah. This charge was later "caused to fade" into the dark whence it came, but Sithole was then kept in detention for refusing to call a ceasefire on the guerrilla campaign. He was, however, released and banished into exile under pretext to attend an OAU Ministerial Conference in Dar es Salaam. Simultaneously, following a Zanu Central Committee meeting at Mushandirapamwe hotel in Highfield, which Dr Edson Sithole also attended, Robert Mugabe and Edgar Tekere went to Mozambique to ensure the continuation of the war, where they remained in mystery until the middle of 1976. After the OAU Conference, Bishop Muzorewa returned to Rhodesia where the ANC faced a serious crisis. Joshua Nkomo and his Zapu supporters in the ANC were demanding an immediate ANC Congress knowing very well that Zanu and Frolizi leaders would not be in a position to attend. 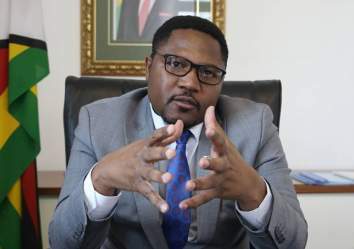 Muzorewa then asked for a meeting with the Frontline States leaders to which all senior leaders of the "enlarged" ANC were invited to discuss holding a Congress. ◆ That because circumstances in Rhodesia would not permit the presence of several leading personalities interested in the stakes at the said Congress, holding of Congress should be deferred until conditions permitted all to attend. 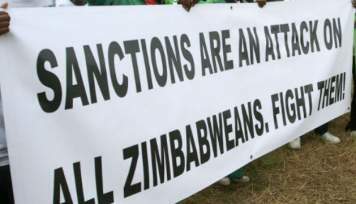 ◆ That a Zimbabwe Liberation Council be formed for the purpose of intensifying the armed struggle. All the leaders seemed united on this resolve but soon after the Dar es Salaam summit with the Frontline States, Nkomo returned to Rhodesia where he continued to press for an ANC Congress. However, suddenly there was an announcement that talks between the ANC and the Smith regime would be held in a train on the Victoria Falls Bridge on August 25, 1975. Bishop Muzorewa led a united ANC delegation with Reverend Sithole, Nkomo and Chikerema in it. Dr Edson Sithole was part the delegation's negotiating team. The talks were aborted. Nkomo then returned to Rhodesia and again in no time, plans were underway for an "ANC Congress". Bishop Muzorewa, who now remained in exile with Reverend Sithole and Chikerema, reacted by suspending Nkomo from the ANC and warned ANC members against attending the said Congress. The ANC Vice President, Dr Elliot Gabellah, also reiterated Muzorewa`s warning and called on members to boycott "Nkomo`s Congress". In June, 1975, Dr Edson Sithole had circulated a report that Joshua Nkomo "had done a secret deal" with Ian Smith. Later, the report was proved to be true and Dr Edson Sithole publicly supported Bishop Abel Muzorewa`s expulsion of Joshua Nkomo from the ANC, setting the stage for combative confrontation between Dr Sithole and Joshua Nkomo. At the time, Machiavellian behaviour and factionalism were rife among African nationalists and there was growing disunity within the ANC, a trend which Dr Sithole actively encouraged. We have already stated that Zanu was becoming impatient with the creature called ANC and was also trying to find a way of extricating itself from the unity accord. Joshua Nkomo and his supporters, however, went on with their plans and on September 27-28, 1975, under the chairmanship of Samuel Munodawafa, the Zapu faction of the ANC, held its Congress in Highfield, and Joshua Nkomo was unanimously elected President. The Rhodesian Press then began talking of Nkomo as the leader of the "internal wing of the ANC", while Bishop Muzorewa, who remained in exile with Reverend Sithole and Chikerema, became leader of the "external wing of the ANC". Immediately after Nkomo was elected leader of the so-called "internal wing", Dr Edson Sithole, who was the ANC Publicity Secretary and a member of Zanu, announced that the ANC loyal to Bishop Muzorewa, Reverend Ndabaningi Sithole and Chikerema would hold a "consultative congress"on October 25, 1975, to repudiate the Nkomo Congress. After his Congress, Nkomo and his supporters embarked on bilateral talks with the Smith regime. The talks were held amidst optimism on both sides until they broke down on March 19, 1976. Surprisingly, the breakdown of the talks was announced in a "joint statement" by Nkomo and Smith. They both appealed to Britain to "clear the impasse". In terms of ANC contradictions, the month of October 1975 was eventful and so it was for Dr Edson Sithole. Dr Sithole was always in the Press criticising the authorities and, more so, for giving preferential treatment to the Nkomo faction of the ANC as they were able to hold rallies with minimum restrictions as opposed to the Muzorewa faction of the ANC. 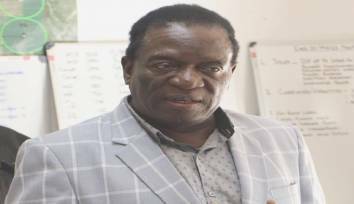 He continuously challenged the authorities to ensure that their "consultative congress" scheduled for October 25 would be held under the same conditions as those that applied to the Nkomo Congress. However, before the said "consultative congress" to repudiate the Nkomo Congress was held, fate was to dictate otherwise on Dr Edson Sithole. On 15 0ctober 1975, around 7pm following an interview, Dr Edson Sithole was bundled into a police van outside Salisbury`s Ambassador Hotel, together with his secretary Miriam Mhlanga, in front of several witnesses, including Brother Arthur of the Catholic Commission for Justice and Peace. They were leaving the Quill Club at the Ambassador Hotel. They were never seen again. Both their remains have not been found to date. He was not found in prison when the cells were opened during an amnesty just prior to independence in 1980 and he is presumed dead. He was declared dead after independence. In 1994, he was declared a national hero, while in 1999 a cenotaph monument was installed in his memory at the national shrine. It was allegedly claimed that he was kidnapped by the Selous Scouts who later killed him and deposited his body in a disused mine shaft. 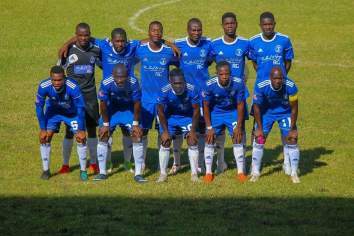 It was also rumoured that these Scouts were working in cohorts with Muzorewa, while speculation also implicated Nkomo. Mike Rook, former Quill cIub Vice-Chairman, writes as follows: "I recall as if it was yesterday entering the Ambassador Hotel in downtown Harare on a balmy Wednesday evening 15 October 1975. I was heading for the Quill Club situated on the hotel's first floor. On the landing halfway up the staircase, I bumped into advocate Edson Sithole, who was accompanied by his secretary Miriam Mhlanga. We exchanged greetings." 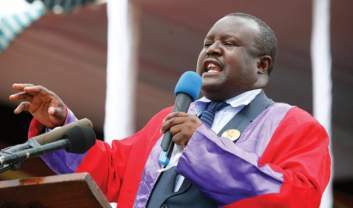 Only a few months earlier, he had attended the Victoria Falls talks as a member of Bishop Muzorewa's African National Council's negotiating team. The talks were part of the "détente" policy instigated by South Africa's Prime Minister B J Vorster, aimed at forcing Rhodesian Prime Minister Ian Smith to talk with the Frontline States and all of the warring nationalist parties. 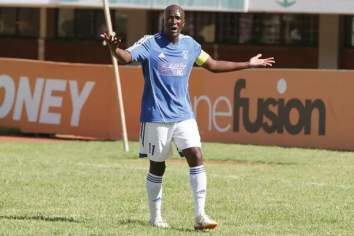 Rook adds, "I remember questioning Sithole as to who was in the club. He replied that there was only a 'spook.' The word 'spook' was used to describe a Central Intelligence Operative. That was my last conversation with him. Minutes later, he was abducted with his secretary as he exited the hotel. He was never seen again. "As I entered the Quill, there was just one person facing the bar and whispering down the telephone. As he heard me enter, he abruptly finished the conversation and turned around. The face and benign smile were very familiar, it was Special Branch officer Pat Keyser." On the day that he disappeared, Dr Sithole missed two court cases where he was supposed to represent clients at two different courts. 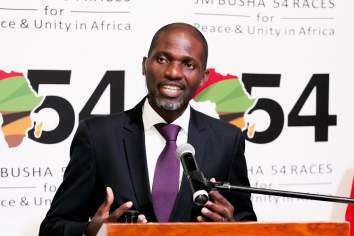 Despite his nationalist activities, Dr Sithole would always find time for his legal practice and he was in demand to represent Africans charged with all sorts of crimes on account of their political activity. Phyllis Johnson, in her book, 'The Struggle for Zimbabwe', states that: "Evidence still secret, to be produced at such time as a public hearing is held, suggests that his (Dr Edson Sithole's) body and that of a white priest may be found at the bottom of a disused mineshaft". After independence, reports suggested that his body was to be found at what used to be the Warren Park dumping area near the Heroes Acre. Other reports suggest that Dr Sithole's body was put in acid, while yet other reports suggest that his remains may be found at Robin Island in South Africa. Dr Sithole's files were also reported to have been taken to South Africa so as to hide evidence. The question that is at the uppermost of everyone's mind is, did Smith and Nkomo or Smith and Muzorewa cut a deal to get rid of this "troublesome nationalist"? 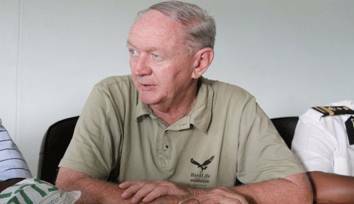 The truth is nobody knows; those who know have not come forward for various reasons and also because the previous administrations of Muzorewa and former President Robert Mugabe did not put in place a public hearing framework where evidence and testimonies about the disappearance of the veteran nationalist and barrister could be heard. The obvious challenge now is that many who knew may have passed on. 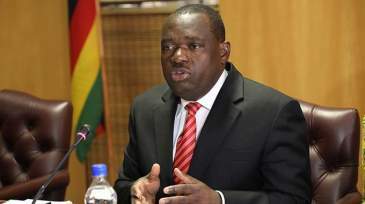 That notwithstanding, it is befitting of the sacrifice that Dr Edson Sithole made to the liberation of this country, that the new administration of the Second Republic generate enough political will to put in place a public hearing framework so that the remains of this selfless son of the soil, among others, are found and given a decent burial at the national shrine, with full military honours as befitting a departed national hero, which has not been done for him to date, 43 years on.